Last year, Tanqueray resurrected Tanqueray Malacca Gin, a product that it had killed almost a decade ago. It was a surprising move – why would Diageo bring back an old, discontinued product for a small limited time release? When you look at the numbers for the gin category, it must have been an fairly difficult pitch by the Tanqueray team to get Diageo to greenlight the special limited release. If you just look at volume, gin doesn’t really seem like a blockbuster spirit. In 2013, total volume for the gin category was down a whopping 3.8% (source: DISCUS) with a 0.6% drop in gross revenue. Hardly compelling data, and on paper not nearly enough to justify investing significant money producing and distributing a limited release product. It’s when you start to look at the broader picture of gin that the move begins to make more sense. Yes, general volume may have declined last year, but that drop was mostly at the very low end of the gin category, categorized as “value gin”. 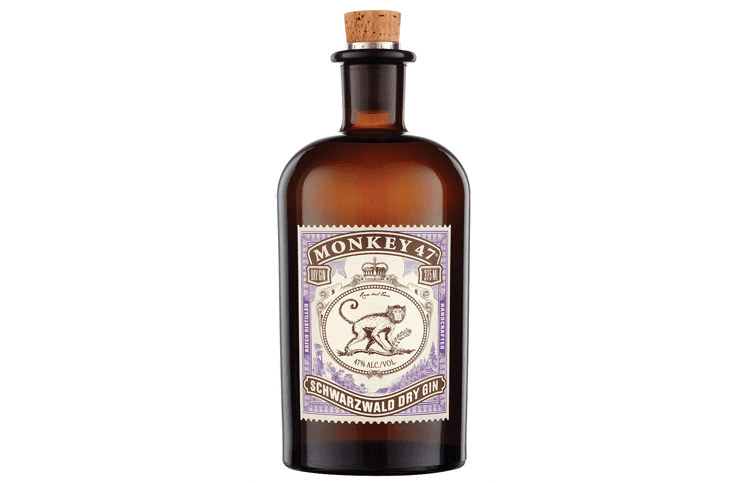 These gins are the ones on the bottom shelf of liquor and grocery stores and often are sold in giant liter bottles rather than conventional 750ml. It was at this end of the category where the volume dropped the most (-6.9%), but that drop was offset by some significant growth in the high end gin space, which saw a 5% growth in volume and an impressive 6.3% growth in gross revenue. It turns out that people are drinking less ‘bad’ gin and drinking a lot more ‘good’ gin. The real story of gin extends beyond the raw sales numbers. If you go to any craft cocktail bar in the world, odds are you’ll see several classic gin drinks on the menu. In the 1800s, gin was an extremely popular spirit, and as such it was used as the base for many of the great classic cocktails, like the Martini, Negroni, Aviation, and Bijou. Gin has been a key element in the craft cocktail revolution and a spirit that many craft bartenders are passionate about. Part of this passion comes out of the sheer opportunity to change perceptions about gin in the United States. For a number of reasons, gin has gotten an unfairly bad reputation in the United States, where you’re more likely to find people who say they hate gin than love it. This “gin resistance” is fairly regionalized to the United States and seems to dramatically dissipate when you look toward other countries. Why is gin so beloved in the UK, Spain, and the rest of Europe while many Americans have put it on their “do not drink” list? The answer may be more about what gin is being mixed with than the quality or taste of the gin itself. In the United States, tonic water is a pale variation of the tonic in the rest of the world. The key reason is highly muted levels of quinine (the element that makes tonic bitter), as well as the use of high fructose corn syrup in many commercial tonics. High fructose corn syrup mixes horribly with gin and helps produce the off taste that many Americans have grown to dislike. The difference in taste and quality between US tonics and their European counterparts (even under the same brand name) is even more dramatic than that between Coke in the United States and Mexican Coke, which is made with pure cane sugar. Bad tonic, combined with a general lack of knowledge in using and handling vermouth in the US, have lead to a bevy of gin drinks that are worthy of US drinkers’ disdain. So how do you change the hearts and minds of American drinkers and get them to discover the magic spirit that is gin? Tanqueray’s answer is to get their products into the hands of the people who do the best job mixing gin into drinks that Americans will not only drink, but that they will downright crave. Tanqueray’s commitment to the craft cocktail revolution has been exceptional, and therein lies the answer to the question, why would a monster company like Diageo bother with a handful of cases of a long lost product? American craft bartenders asked Tanqueray to bring back Tanqueray Malacca, and Tanqueray listened. The move not only created more good will among craft bartenders with the brand, it also helped create some excitement for the category. This excitement also helped fuel a relaunch of Tanqueray’s iconic Tanqueray Ten Gin with a new look that tipped its hat to craft. If there’s one model that major spirits companies tend to follow, it’s “If it worked once, do it again”. While Tanqueray Malacca Gin may not have sold tens of thousands of cases, it did the job that was intended, so Diageo has opened up Charles Tanqueray’s legendary recipe book for another limited edition gin release. This time around, it’s Tanqueray Old Tom Gin. 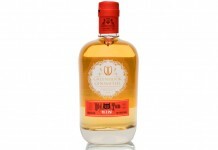 Old Tom Gin is a style of gin that bridges the gap between Dutch Genever and London Dry Gin. At its core, Old Tom Gin has a weight, sweetness, and lushness that’s reminiscent of Genever but with a drier finish that’s more akin to a London Dry Gin. Old Tom Gin was an extremely popular style of gin during the heart of the classic cocktail heyday in the 1800s, and can be found in many key classic drink recipes like the Martinez and Tom Collins. Unfortunately, Old Tom Gin was one of many spirits which fell victim to Prohibition, and post-prohibition production of Old Tom petered out in the 1930’s and 40’s. It was considered a “lost spirit” in the US until just a few years ago when cocktail historian David Wondrich helped encourage Ransom Spirits, a small Oregon distiller, to try to re-create the classic spirit. 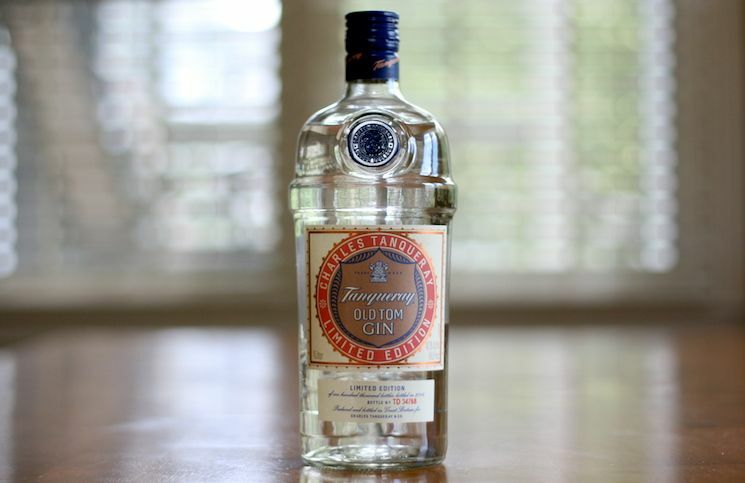 Tanqueray Old Tom Gin (47.3% ABV / 94.6 proof, $32.99 per Liter) – unlike Ransom Spirit’s Old Tom Gin, which was a recreation of Old Tom Gin, Tanqueray’s special Limited Edition release comes directly out of Charles Tanqueray’s famed recipe book, with notes on Old Tom Gin that date back to 1835. These notes and subsequent recipes were the basis for Tanqueray Master Distiller Tom Nichol to create this limited Old Tom Gin release for Tanqueray. From the first nosing, it’s clear that Tanqueray’s Old Tom Gin is distinctly different from Tanqueray’s other gins. Juniper is definitely a lead note, but it’s accompanied by a distinct lushness that includes bright lime, almond, and orris root. The core of Tanqueray’s Old Tom Gin nose is sweet citrus (reminiscent of honey tangerine) supported by a layer of spice which includes juniper, black pepper, coriander, and licorice root. The entry is lush and sweet, two words you don’t expect to be associated with gin. The initial softness is amazing considering that this gin is 47.3% ABV; it’s perhaps one of the most sippable gins on the market. What’s remarkable is that the sweetness doesn’t seem to be coming from any added sugar. It would have been perfectly acceptable to add sugar to an Old Tom Gin, as many classic Old Toms were sweetened, but instead the sweetness is one of those great magical things that can happen in a spirit where it tastes sweet but isn’t sweetened. The entry is all sweet lime and soft juniper. The way in which the juniper is presented here is so approachable, it’ll make even the most ardent ginaphobe reconsider their take on the spirit. As we head towards the midpalate there’s a wonderful handoff between the lush, sweet opening and the full, round, spicy midpalate. In the midpalate the juniper ramps up and is joined by black pepper, coriander, licorice root, orris root, and a eucalyptus note. Even with all this spice, Tanqueray’s Old Tom Gin maintains the silky undercurrent of citrus sweetness established in the opening. The finish for Tanqueray’s Old Tom Gin is long and dry, solidly in line with the house style for Tanqueray. One of the cornerstone’s of Tanqueray’s taste profile is balance, and it’s one of the things that Master Distiller Tom Nichol does best. Nichol manages to find balance in an Old Tom, something that’s nothing short of remarkable. While Tanqueray Old Tom Gin is being billed as a Limited Edition, it’s still a Diageo product, so for them “limited” means “a hundred thousand bottles”. This is a hearty amount for something that’s limited, but that’s a good thing. Tanqueray’s Old Tom Gin is an important addition to the gin category. It’s an expertly crafted gin that sits side by side with Tanqueray London Dry and Tanqueray Ten in terms of quality and execution. 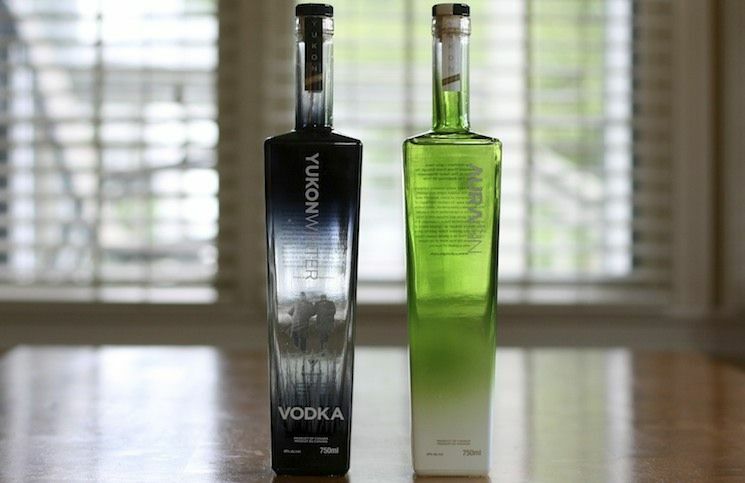 We hope Tanqueray will consider adding both Old Tom and Malacca to the permanent Tanqueray line up.